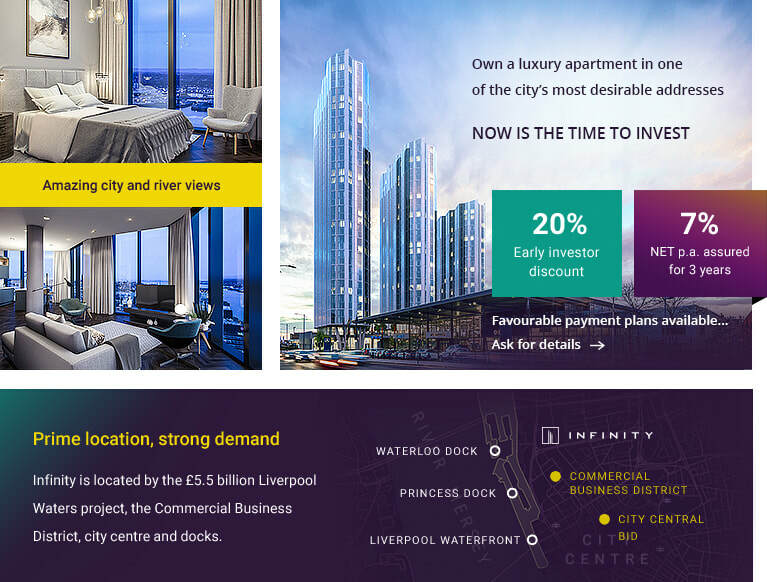 ​This magnificent multi-tower development will provide uninterrupted waterfront views over the River Mersey, the historical dock and the city’s vibrant centre. Soaring 27, 33 and 39 storeys high, Infinity’s larger two towers will reach skyscraper notoriety. 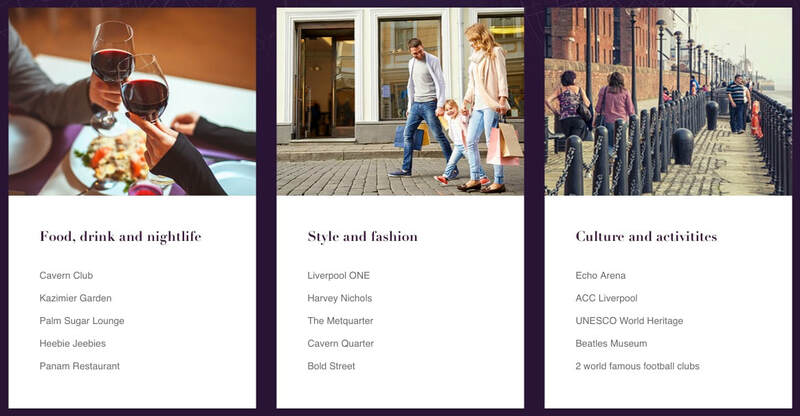 One of the most desirable addresses in the cityA collection of three iconic towers that will change the face of Liverpool. 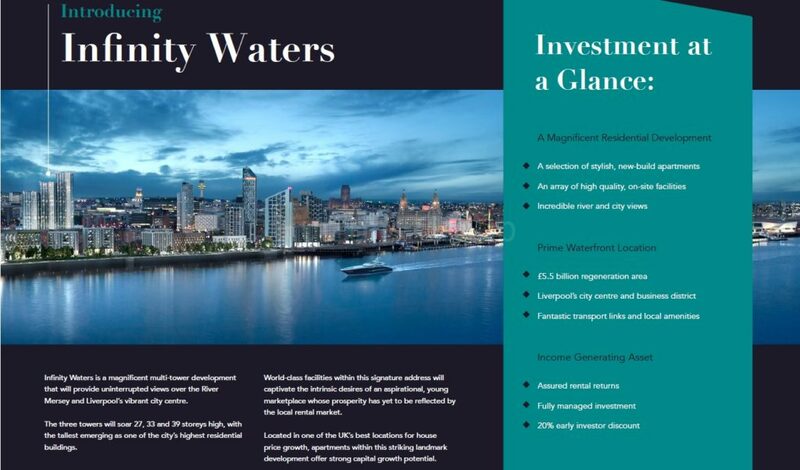 This magnificent multi-tower development will provide uninterrupted waterfront views over the River Mersey, the historical dock and the city’s vibrant centre. 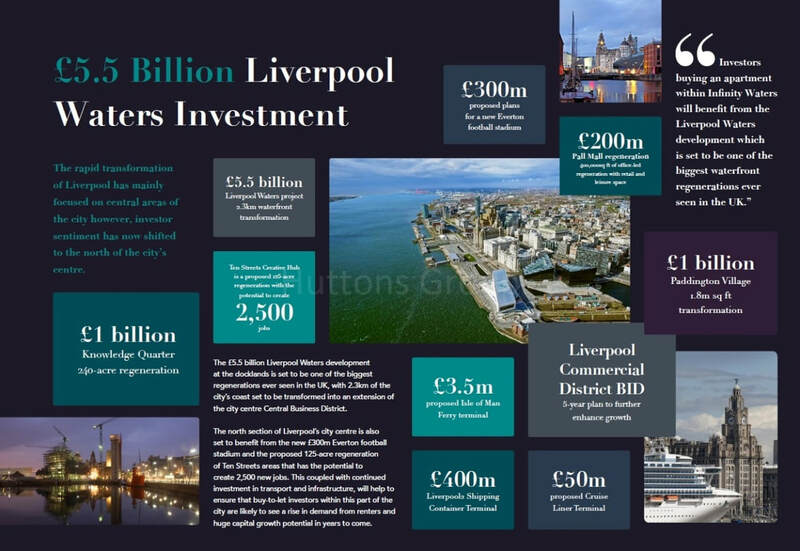 Why Invest/Buy Infinity Water Liverpool UK? Capital uplift throughout construction period (JLL forecast that house prices in Liverpool will rise by 19.3% by 2022). 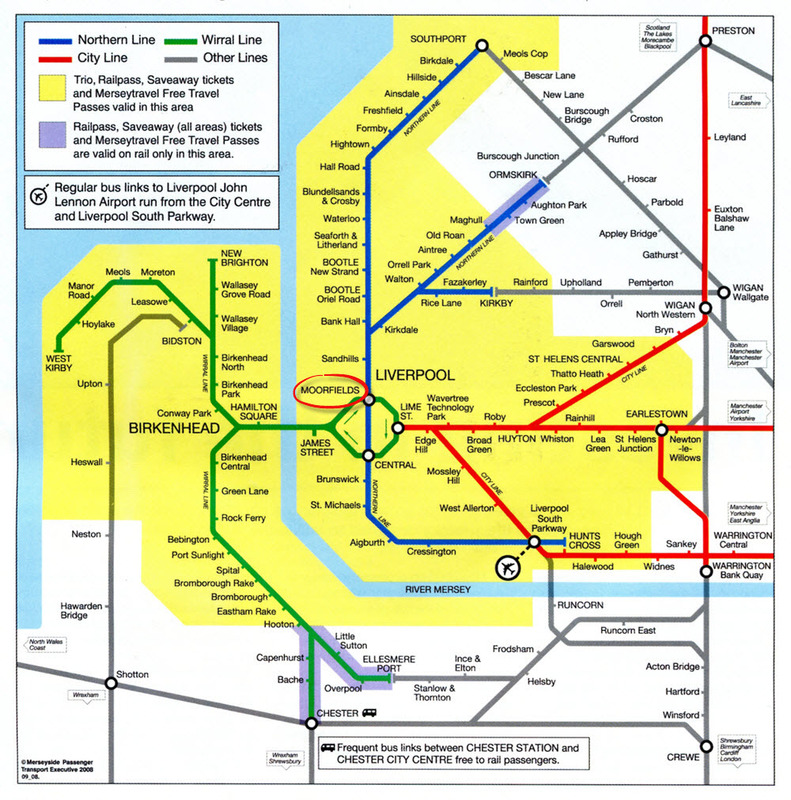 "Liverpool is a rapidly transforming city with major regeneration activity taking place, particularly in the docklands. The city is now firmly at the top of many investor's hit lists and looks set to outperform other regional cities in terms of price and rental growth." JLL Northern England Residential Forecasts - February 2017. At the moment, you can get in at an earliest stage and benefit from the lowest possible pricing and get your pick of these incredible units. 20% early investor discount - ending soon.